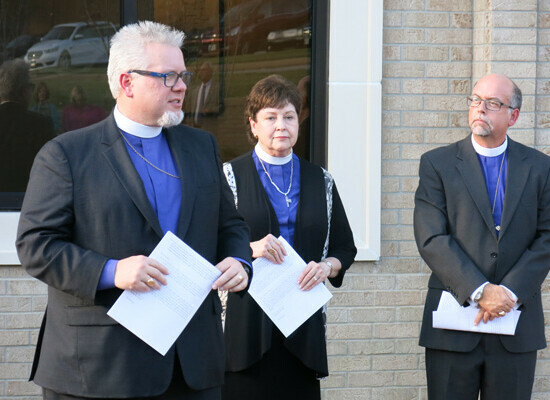 Diocesan Bishop, C. Andrew Doyle joined Bishops Suffragan Dena Harrison and Jeff Fisher on November 2, to dedicate the new Tyler Diocesan Center, located on the campus of All Saints Episcopal School on Loop 323 in southwest Tyler. 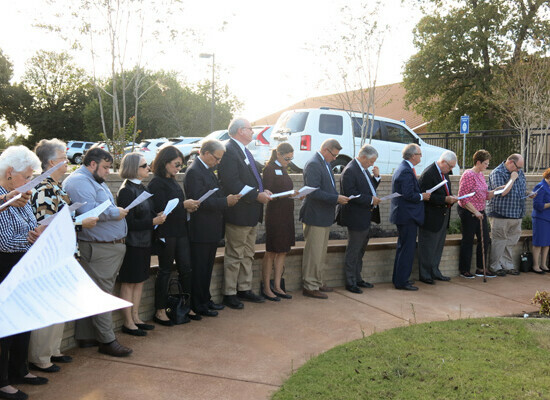 More than 30 local clergy and area lay leaders gathered in the horseshoe-shaped garden outside the new offices of Bishop Fisher to read prayers and ask God’s blessing on the new center. 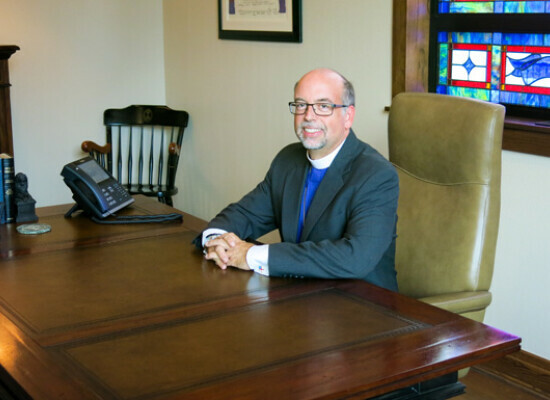 Bishop Doyle prayed: “That [the Center] may be a place of welcome, good counsel, faithful governance, disciplined leadership” in his dedication. 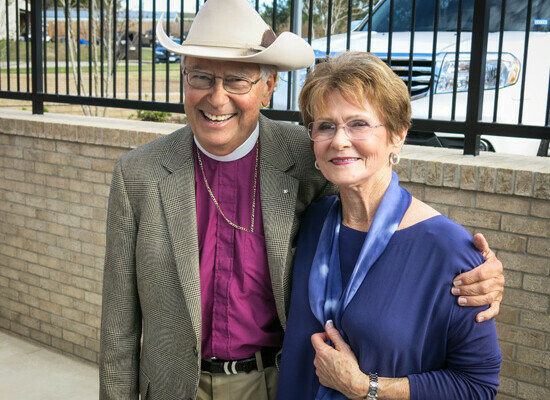 Guests were treated to refreshments following the dedication. 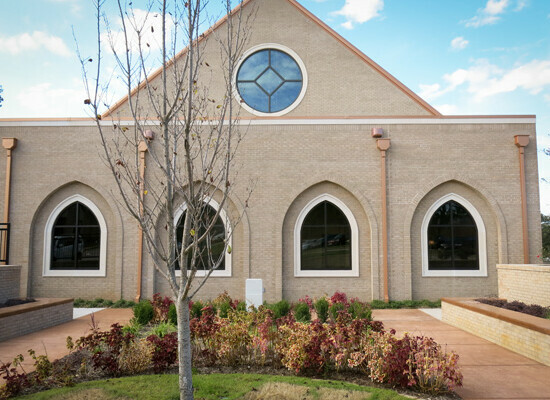 The offices are attached to the school’s new chapel, a beautifully modern and traditional space that welcomes the schools students daily for worship. A retirement dinner for Martha Harvey, executive assistant in the Tyler office for nearly 13 years, was held at the Willow Brook Country Club later in the evening. 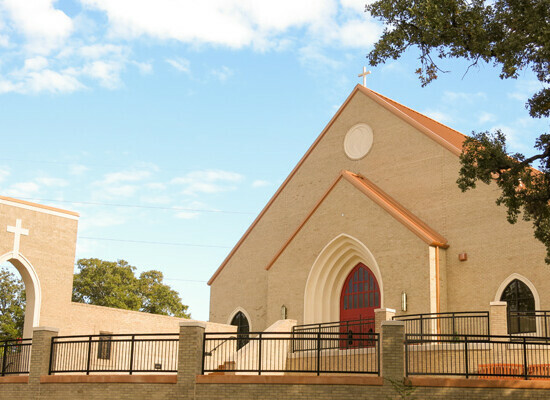 Harvey has served both Bishop Rayford High and Jeff Fisher during her tenure, as well as the Diocese, with grace and hospitality. She will retire in December.